Today I decided to eat it along with the bowl of soup I was having for lunch. I took it out of the refrigerator and tried to break it in half, and found that I’d need a hammer and chisel to get inside it. I considered just dunking it into the soup, like coffee and donuts, but the soup was quite thick, and the biscuit probably wouldn’t absorb enough liquid to make it soft. I tried wrapping it in a napkin and microwaving it for a few seconds, on the theory that the shortening in the biscuit would soften, but it was still rock-hard. So I moistened it with a little water, just with my fingertips, lightly, on the top and bottom, rewrapped it, and nuked it again for ten seconds. Success! It hadn’t returned to its original wonderful fall-apart flaky state, but it was as tender as any biscuit I’d pull out of my own oven (I make hockey pucks), and it broke nicely into smaller pieces that went into the soup. 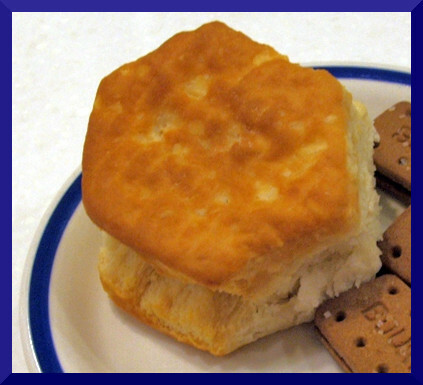 I know this isn’t a Big Thing — one biscuit, more or less, isn’t going to solve the world’s food waste problem. But I ended up with a delicious accompaniment to my lunch, the biscuit didn’t end up in the disposal, and I don’t have to feel guilty about wasting food. Residents of Cuyahoga County can take advantage of one or more Community Shred Days offered by the Cuyahoga County Solid Waste District and many Cuyahoga County communities. During the Community Shred Days, residents may bring documents to a designated site for shredding and secure disposal. 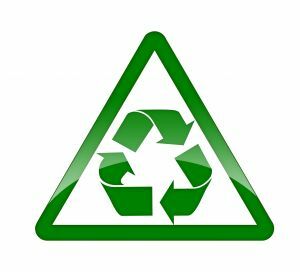 Shredding services are provided by All Ohio Secure Shred, which shreds the documents on-site and recycles all shredded documents. A calendar listing communities with their shred locations, dates, times and contact information is posted on the All Ohio Secure Shred website. Many communities place limits on the quantity of documents they’ll accept and limit the service to community residents: check your community’s website or contact the community representative listed on the calendar for more information. In addition, the City of Cleveland Division of Waste Collection provides free document shredding for Cleveland residents Mondays through Fridays year-round at 5600 Carnegie Avenue, and offers free mobile shredding services at community events. For more information about City of Cleveland shredding services, download the flyer (click on the word “more” under “City Offers FREE Document Shredding Year-Round!”) from the City of Cleveland website. Protect your identity: shred your documents and keep them out of the landfill.